Pahnik & Sukattuq pup. Frost, 5 month old male. Pahnik produces absolutely amazing puppies in appearance & temperament. Echo Wolf, left. Saffron Mutquk right. Pahnik & Sukattuq female puppies at 4 months. Suka & London. Sukattuq pups at 9 months old. My Beautiful girls Remi Nightwish & Brecken Venom at 4 months old. 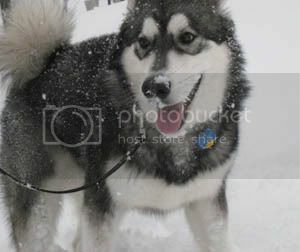 Nanuq Sakutto. 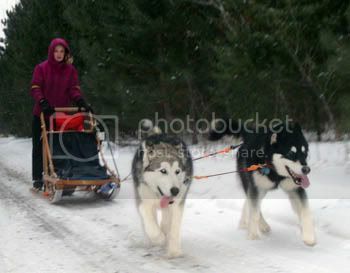 Training to be a sled dog. Brother to the two below as well. Suka & London. 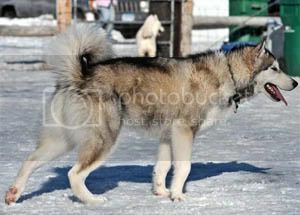 Brothers, 10 months old, & training sled dogs. Nya. Brooklyn pup at 8 months old. Frost Amadeus. 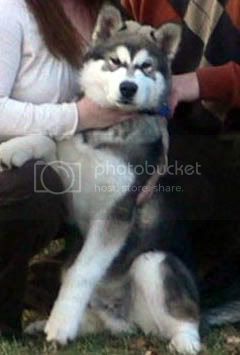 Sukattuq pup 9 months old.